Lost files from USB flash drive? No panic! This tutorial shows how to get back deleted or lost files from USB flash drive via free software. Free download Eassos Recovery Free and get back lost files now! 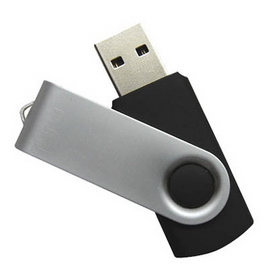 USB flash drive, cost-effective and portable data storage device, gains popularity all over the world, meanwhile, recovering deleted files from USB flash drive has never failed to draws our attentions. Because files deleted from USB flash drive are not put into Recycle Bin but deleted directly, thus they can’t be restored from Recycle Bin like those files deleted from computer. Why deleted files can be recovered from USB drive? Before we start recovering deleted files from USB flash drive, let’s see how system saves files and how file deletion occurs. System finds enough space for file from File Allocation Table (FAT) which records usage conditions for the whole disk space and then system stores file’s data to corresponding sectors where the file allocation table points. Then the file allocation table marks those sectors occupied. When a file is deleted, data stored on these occupied sectored won’t be deleted and what really changed is the file allocation table which tells system those sectors are available to save new files again, so that new files can be put there. Thus, it is possible to recover deleted files from USB flash drive before they are overwritten by newly saved files. 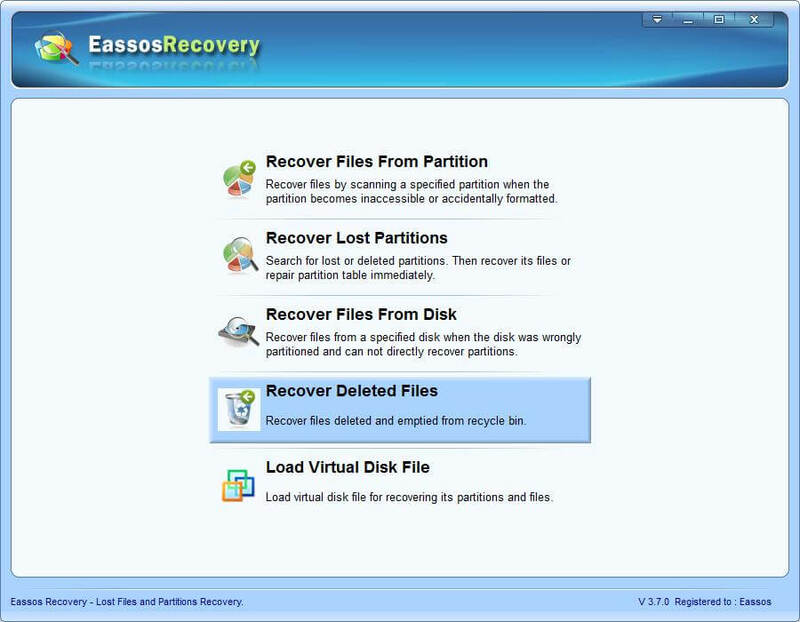 Download, install and launch Eassos Recovery. Click the button “Recover Deleted Files” on the main interface. Select the USB flash and click “Next” button. 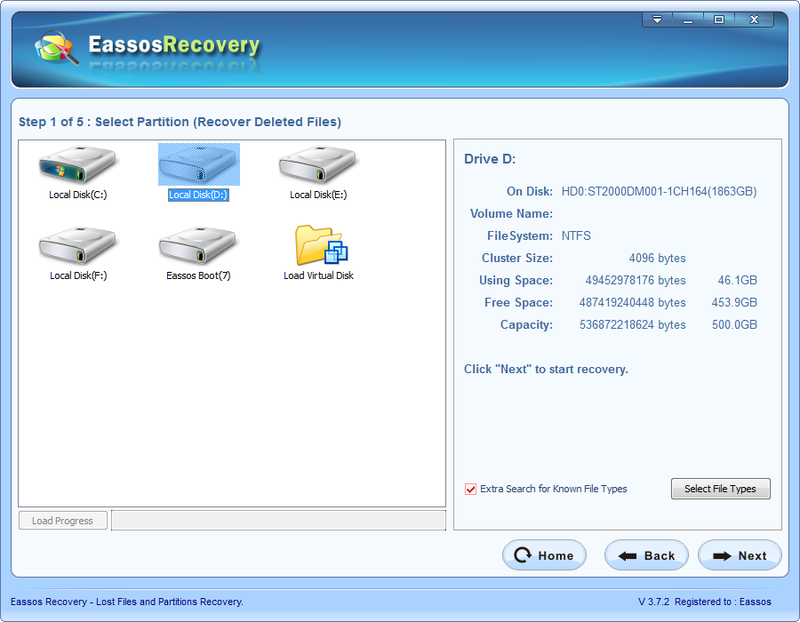 Eassos Recovery starts to search for deleted files, which won’t take too much time. Preview and select files you want to recover and click “Next” to copy them a safe destination. 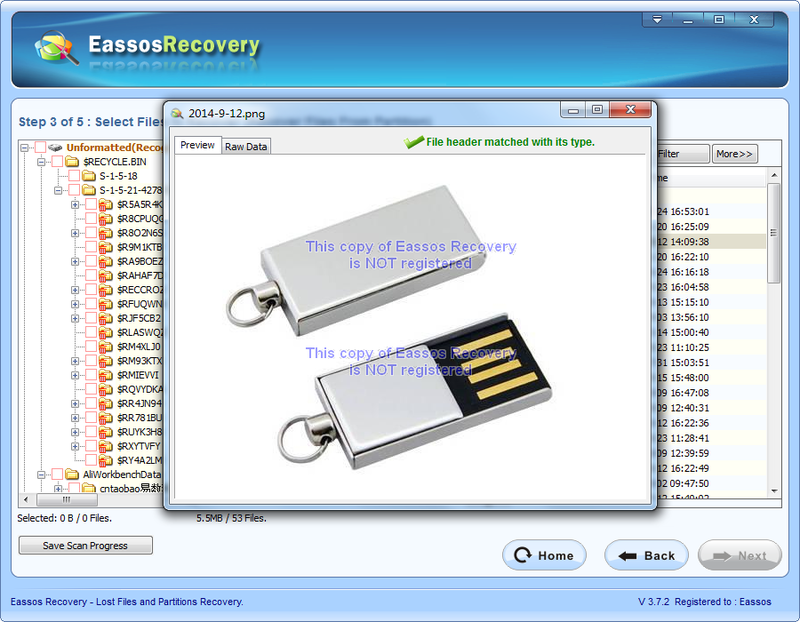 This entry was posted in Data Recovery and tagged recover deleted files free, recover deleted files from USB flash drive, USB flash drive data recovery sofrtware, USB flash drive recovery by EASSOS. Bookmark the permalink.